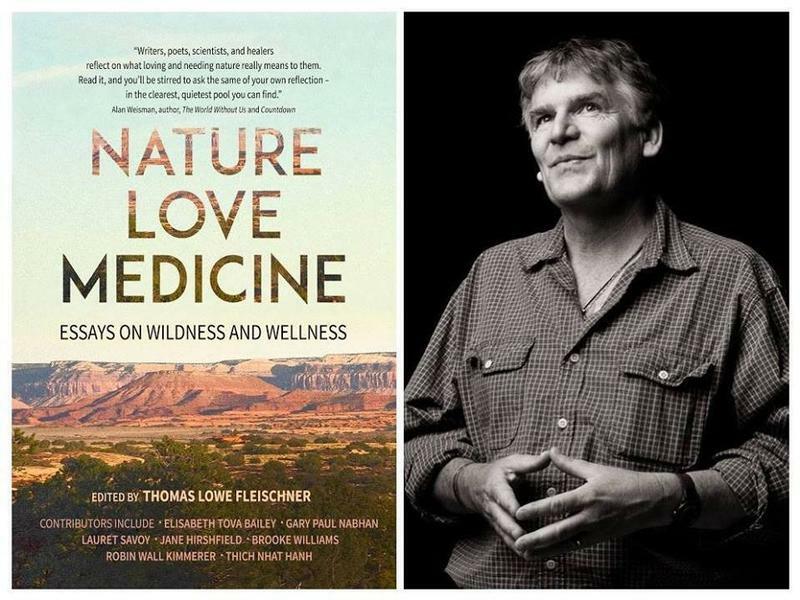 As part of our on-going conversation series, Back of Beyond Books presents Nature Love Medicine edited by Thomas Lowe Fleischner. This book unabashedly declares that love for our biologically and culturally diverse world is a much-needed virtue, an essential need. Comprised of twenty-three authors—ecologists, psychologist, educators, poets, artists, the healers and the healed—this book of essays collectively explore the notion that practicing attentive natural history remains an essential pathway to sanity and health for both individuals and societies. This will be the nature of our conversation with the editor, Thomas Lowe Fleischner and one of the authors, Edie Dillon. Are we born to practice natural history? What is the relationship of wildness to wellness? Are we inherently more psychologically healthy when we take time to consider nature? What is relationship of nature to therapy? Is there a connection between the current gush of social dysfunctions (violence, depression, anxiety, alienation, lack of health) and the mass sacrifice of human interaction with nature? This event is set up as a facilitated conversation and draws heavily on participation from the audience. If you would like to prepare please pick up a book at Back of Beyond Books beforehand.